Even crazy mercenaries like to stay warm and fluffy :). A superhero in a bathrobe? That's too weird to be true, right? Imagine the scandal if Wolverine, Captain America or comrades just walked around in morning attire. 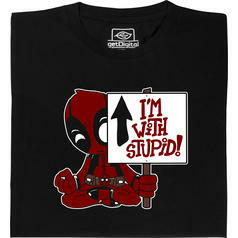 Not so for Deadpool, though... His fans know that the slightly crazy mercenary could totally pull that look off! 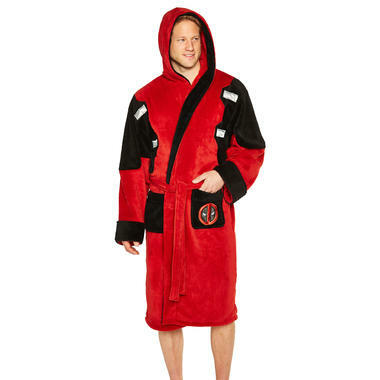 With the Marvel Deadpool Bathrobe, you can turn into the merc with a mouth within seconds. 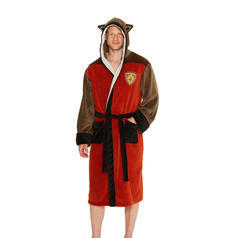 The extremely fluffy bathrobe not only offers a hood, a belt and several sewn-on patches but also two swords on the back! Now you only need to go crazy to complete your transformation. But we're confident you can do that ;). 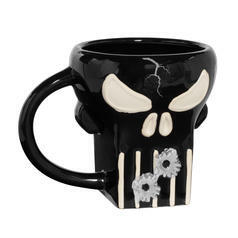 21.95 £ lade... Marvel Punisher 3D Mug One batch, two batch  looks like coffee is ready! 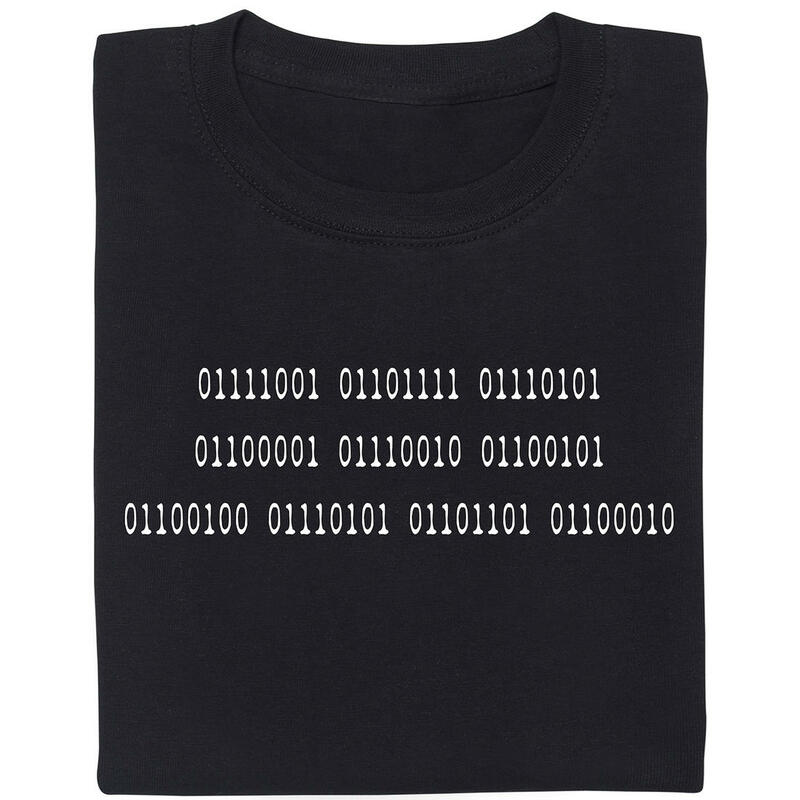 from 19.95 £ lade... Fair Geek Wear I'm with stupid T-Shirt Hey, you! I'm talking to you! Go ahead and buy me!